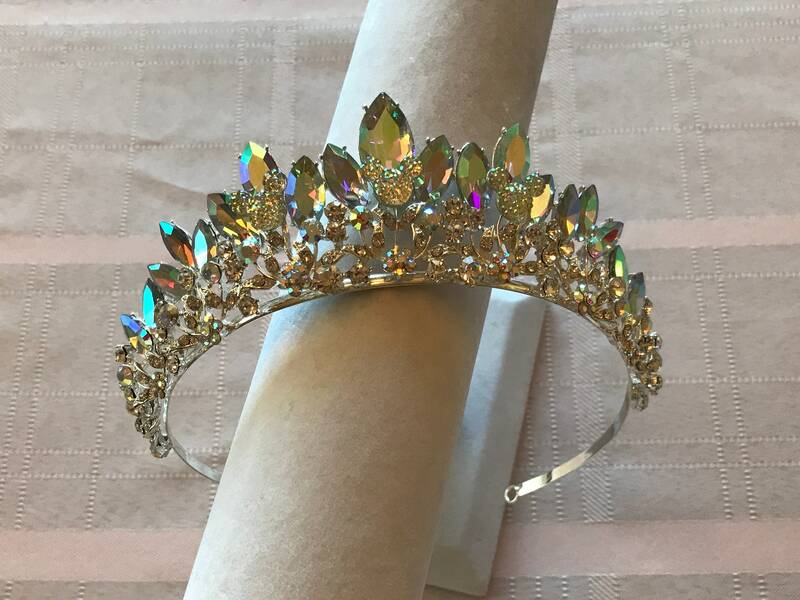 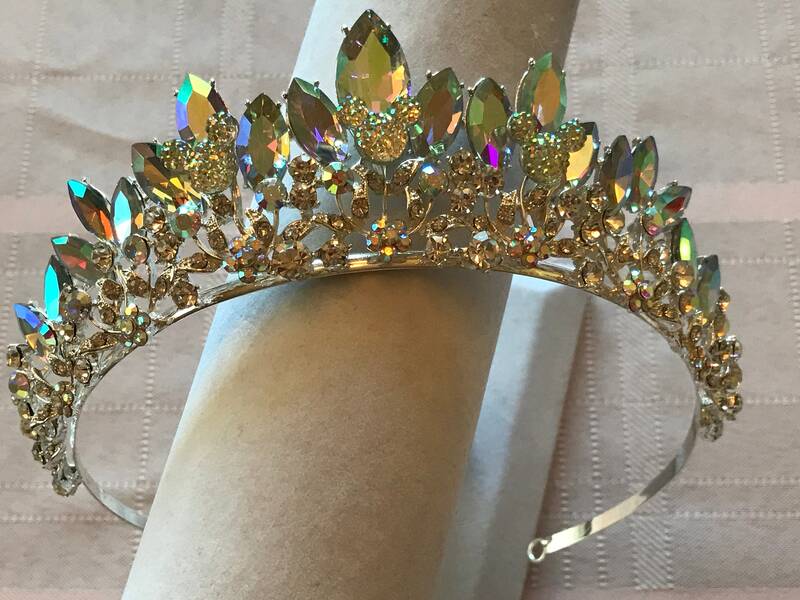 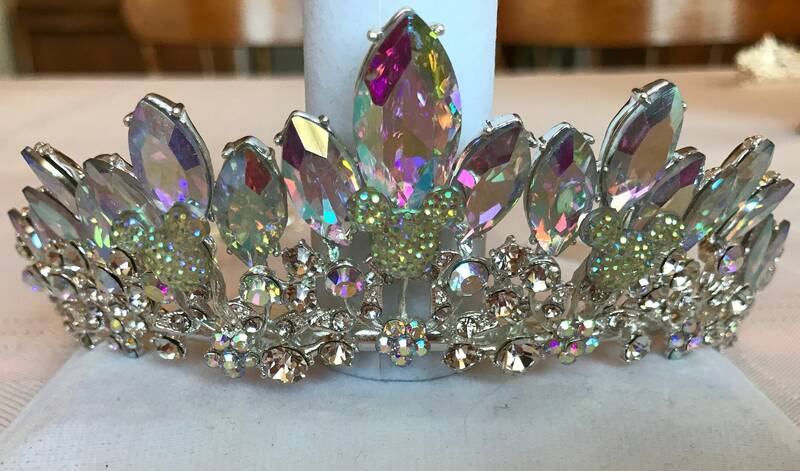 Gorgeous Crystal Clear and Clear AB(rainbow finish) rhinestone jewels make up this silver tone tiara. 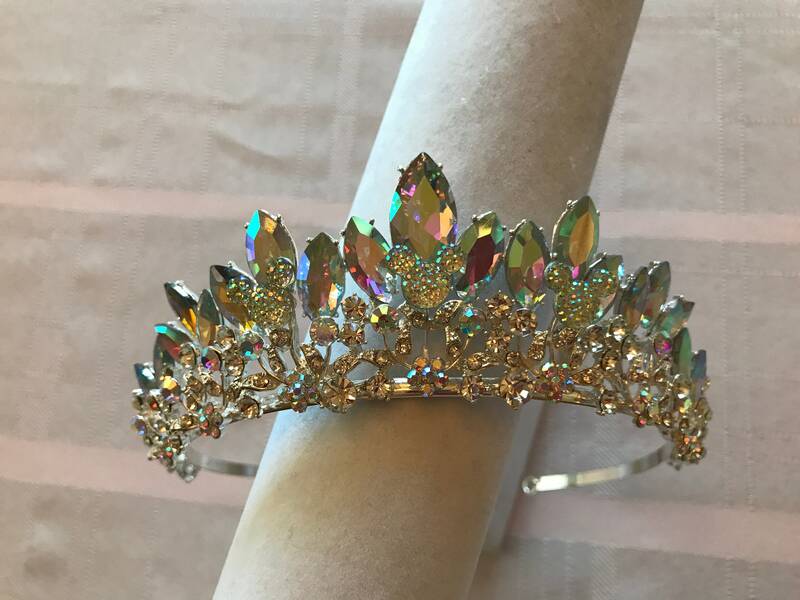 This tiara is almost 2 inches high at the center and gradually slopes down on each side to one and a quarter inch and then a half inch. 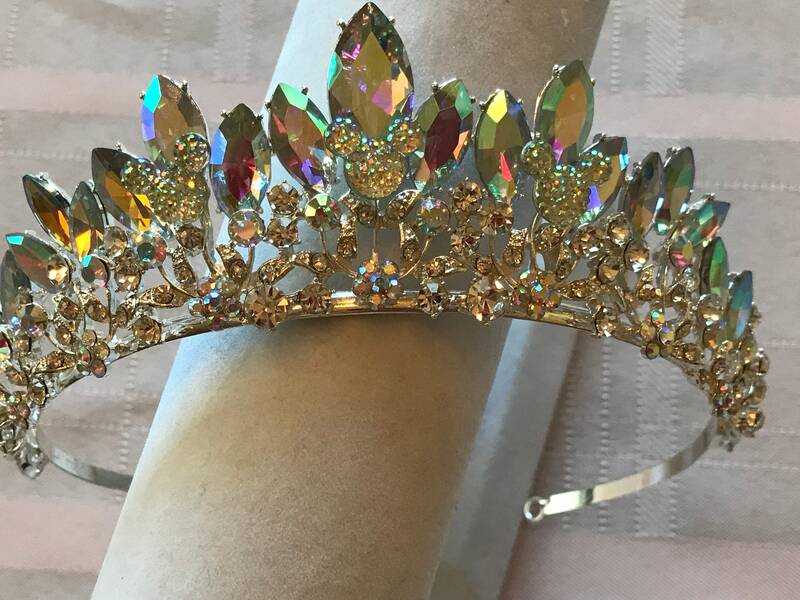 This tiara has 3 clear ab(rainbow finish) Mickey Silhouettes hidden in the very center. 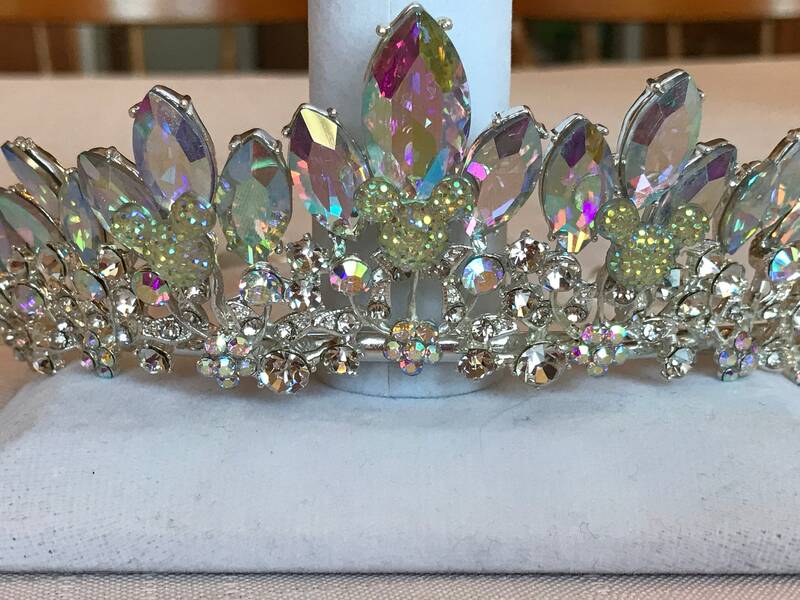 Which makes this tiara a magical addition to your Disney Inspired Wedding.